Manual Bag Warranty Card Only Shure 55SH Vocal Microphone 55 SH Style "Elvis"
Squire William Henry - Tarantella Op 23 for Cello and Piano Published by Car.. This makes the already easy to understand plans even easier! (This is not a tutorial on how to build the desk). 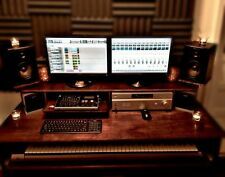 Included are the plans to build this style studio desk! 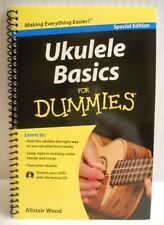 Ukulele Basics For Dummies - Special Edition. Learn how to hold the ukulele the right way so you can play more easily. Tune your ukulele. 96 Page book plus CD. Inventory#: 000333226. The Complete Illustrated Lyrics is the first book of its kind. Never before has there been a complete Queen lyric book. Also included is a complete discography, pairing each song to the album on which it was originally released. 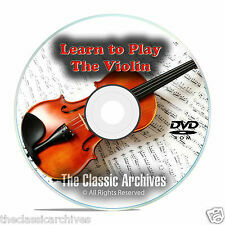 If you, or your child, are interested in picking up the violin and learning how to play, this DVD is the place to start. Learn How To Play The Violin. We are the owner and creator of this disk, and we have full distribution rights to this item. Through there are several tuning choices, Linda uses the traditional Ionian tuning to produce a unique bluegrass sound. The music is upbeat, toe tapping and a truly enjoyable experience. 11: Red river valley. "> The Melody Harp Carrying Case is perfect for the Trophy Music Melody Harp. Features a sturdy handle, durable nylon and zipper construction, and an outer pocket for storage. Great for protecting the Melody Harp! Trending at $14.96eBay determines this price through a machine learned model of the product's sale prices within the last 90 days. You will receive the item shown here. "> For kids or adults, individual, group or self teaching. Yellow pages cover chord strumming. White pages instruct note sight reading and tablature. All staffs are numbered for group coordination. "> Founded in 1947, Hal Leonard Corporation has become the worlds largest print music publisher, representing some of the greatest songwriters and artists of all time. We are proud to publish titles of interest to all musicians as well as music lovers, from songbooks and instructional titles to artist biographies and instrument price guides to books about the music industry and all the performing arts. It provides all of the scales that you will ever need to know on the guitar. Oversized guitar scales visible from a few feet away. Most guitar players experience positive side effects, but individual results may vary. Rock Country Blues Dance Slow Latin Guitar Bass More! II 116 from Notebook for Anna Magdalena Bach (J.S. Bach) Minuet 3, Minuet BWV Anh. II 114/Anh. Suzuki Violin School: Violin Part, Vol. 1 [Paperback] by Dr. Shinichi Suzuki, 01. Bass Guitars. Series: Suzuki Violin School. Trending at $11.22eBay determines this price through a machine learned model of the product's sale prices within the last 90 days. Not in perfect condition, but good for its age. 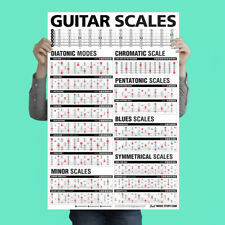 It provides all of the scales that you will ever need to know on the guitar. Oversized guitar scales visible from a few feet away. Guitar Scales Cheatsheet. • 12 Fret Chromatic Scale • Major/Minor Pentatonic Scales. It makes transposing from one key to another so easy as to be almost automatic. From the included instructions. "This device is a TRANSPOS-A-Chord. Sight-Reading 2A develops sight-reading skills through activities that reinforce reading concepts and musicality. There are 14 units correlated with Lesson Book 2A, and each unit contains five activities that emphasize note reading, rhythm, playing without stopping, and playing expressively. These activities build sight-reading skills in a simple, fun way. 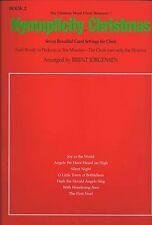 TK O’Brien’s Guide To Playing The Bowed Psaltery By Karin Lyle Condition is Good. Shipped with USPS First Class Package in a padded envelope. Traditional Tunes from the Isle of Man. Arranged by Carol Walker. Hymns From the Heart. D-A-D Tuning. This book is a "hands-on" approach to music theory with lots of playing examples for the banjo. Music theory does not have to be mysterious or difficult. Buck 'Em! Autobiography of Buck Owens Book Hee Haw Country Music Grand Ole Opry. Condition is Very Good. Ships fast same day or next via media mail. The Original You Can Teach Yourself HARMONICA. These exciting Flash Card sets include 48 key signature cards each. They use Treble, Bass, and Alto clefs. They are organized into 6 sets and may be used with any beginning music theory course. If you’re not satisfied, neither are we. For sale are 3 music producer books. The books were bought, never read and sat on a shelf. The Music Producer's Handbook by Bobby Owsinski (DVD is still in book). Books include. It provides an amazing source of inspiration for all levels of uke players too. It makes a great gifting choice for any budding or experienced ukulele player as well! Most ukulele players experience positive side effects, but individual results may vary. Inventory#: 000330265. Gibson Sunburst Les Pauls from '58 to '60. Finally, the long-awaited English edition of this historic Japanese book is here! This may be the closest guitarists will ever be able to get to these incredibly collectible beauties! Trending at $27.22eBay determines this price through a machine learned model of the product's sale prices within the last 90 days. THE BEST BEGINNER. 4 0R 3 STRING TUNED D(d) A D. (new or from Grandpa). Hey, Grandpa.you can learn a TON from this BEGINNER'S video.it's just that cool. TO CHECK OUT THE LESSONS SPECIAL THAT HAS. How long should I wait before I receive my order?. This complete violin course brings together the Step One Teach Yourself series in a single multimedia package to provide a total learning system. 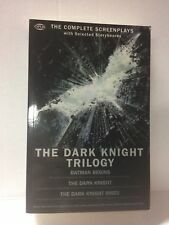 In this great pack you'll get: a complete instruction book, 3 CDs, and a DVD. The CD audio tracks tell you how everything should sound, and the full length accompaniment tracks give you instant backing. The DVD features an expert teacher demonstrating proper playing techniques. (Piano Solo Songbook). A baker's dozen selections from the soundtrack to this 2015 live-action Disney feature inspired by the classic fairy tale featuring compositions by Patrick Doyle, who also penned the music for Disney's Brave. Includes the single "Strong" by Sonna Rele plus: Bibbidi-Bobbidi-Boo (The Magic Song) * A Dream Is a Wish Your Heart Makes * The First Branch * A Golden Childhood * La Valse Champagne * Rich Beyond Reason * The Slipper * Valse Royale * Who Is She * and more. Songs with lyrics are presented in P/V/G arrangements and the others are piano solo. Also includes eight pages of gorgeous full-color photos from the film! "> Harmony Jewelry makes exquisitely crafted miniature replicas of musical instruments. Each piece is pewter cast and plated in 24 Karat Gold, creating a beautifully accurate representation of the original musical instrument on one side. The perfect gift for the music lover in your life! Inventory#: 000264662. Artist: Charlie Parker. - and more. Includes preface by book transcriber Charles Doc Stewart. Series: Jazz Transcriptions. Size: 12in x 9in. Inventory#: 000330755. A must for all music fans! The Fender Bass. An Illustrated History. Condition: New - Unused - Unopened. Series: Book. Pages: 128. For students of piano or guitar, this fun and friendly step-by-step introduction to music theory is written with the adult learner in mind. In addition, detailed diagrams help simplify the learning process. Inventory#: 000234717. The Rickenbacker Electric Bass Second Edition. 50 Years as Rock's Bottom. ISBN: 9781495095214. Publisher: Hal Leonard. Pages: 162. Inventory#: 000252483. Hit Songs for Two Clarinets. Condition: New - Unused - Unopened. 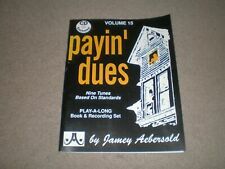 Publisher: Hal Leonard. This beginner's course makes it easy to see how to hold the hammers, find the notes, and make exciting music almost immediately. John teaches several tunes and variations, and shares tips on tuning, set-up, finding harmonies, and special hammering techniques. 90 MIN. - INCLUDES DIAGRAMS - LEVEL 1. What Is the Minimum Age for Learning a Musical Instrument? Most children have the attention span and awareness to learn an instrument as early as five years old. However, this varies among children. Other factors are also important for specific instruments. For example, children must have a certain degree of finger strength in order to play the guitar and may need to wait until they are old enough to develop this. To play the piano, they must be able to reach the keys and the pedals. Hoch Much Time Do You Need to Spend Practicing an Instrument? Beginners need to spend at least 20 minutes each day practicing their instrument, while intermediate and advanced learners should devote at least 30 minutes daily. Consistency is more important than the total amount of time spent practicing, and several short practice periods spread over the course of a week are more productive than practicing for one longer amount of time. How Long Does It Take To Become Proficient at Playing an Instrument? Developing proficiency on a musical instrument takes a considerable amount of time and practice, but people learn at different paces. Professional musicians usually start their careers early in life and dedicate years to learning proper technique and style. Those who learn an instrument for personal enjoyment typically have the ability to play several songs within a few months.